In episode 48 on #MerryBiz we chat with our good friend in the blogosphere. 7 years ago while working within the magazine world she started a blog, Drop Dead Gorgeous Daily. She had no idea what she was doing but learnt many things on the way. Now Drop Dead Gorgeous Daily has 450,000+ readers a month and earns a multiple 6-figure revenue. But her true passion is teaching other bloggers to turn their blogs into profitable businesses. She’s the founder of Secret Bloggers Business and she is just a super lovely person. 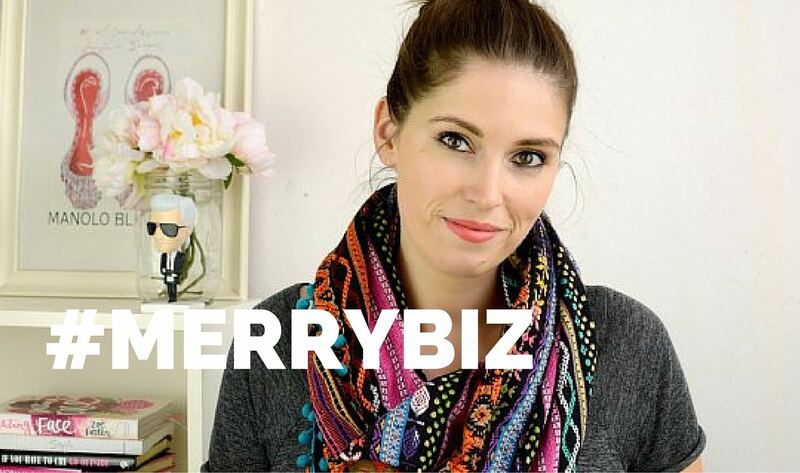 We’re so excited to welcome Kate Mckibbin to #MerryBiz! If someone is going to start a blog, with the idea they want to turn it into a business one day. What are the initial MUST-DOs? What do you think about monetising blogs through sponsorship? Can you see a shift? How do you nurture your audience? Can you tell us about your challenges you’ve been through? What are you favourite online tools? Think about who you’re writing too. Ask yourself: how you can help your audience? A profitable blog can take time. You have to be patient. We wanna hear all about it! Share your moments of AHA! or the action you’re gonna take after listening to this #MerryBiz episode!